The 33-square-kilometer Arenal Volcano, located 7 kilometers from La Fortuna, has been active since July 29, 1968. It has two different landscapes: one covered with lush vegetation that houses a variety of wildlife, and another rugged area of lava flow and sand as a result of constant eruptions. 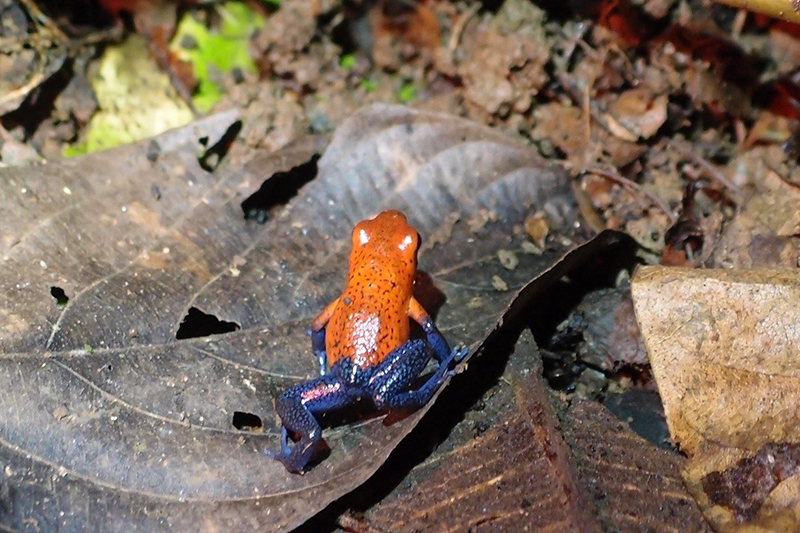 It is considered the main attraction in the area and can be viewed both during the day and at night to take advantage of its constant eruptions. In addition, this area is known for its hot springs, which provide a unique relaxing environment surrounded by local nature. With its several protected areas, lakes, lagoons, volcanoes, rivers and waterfalls, the Northern Zone is undergoing a boom in tourism service and adventure site development, so that nature-loving visitors can enjoy the region’s many riches. 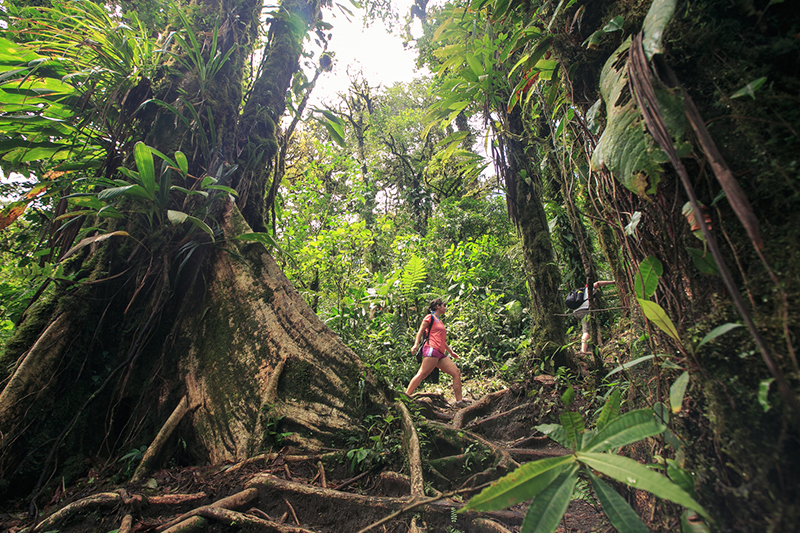 Adventure activities and nature-watching may be enjoyed on the region’s rivers—Peñas Blancas, San Carlos, Toro, Puerto Viejo and Sarapiquí—some of which are important navigational routes. 1. 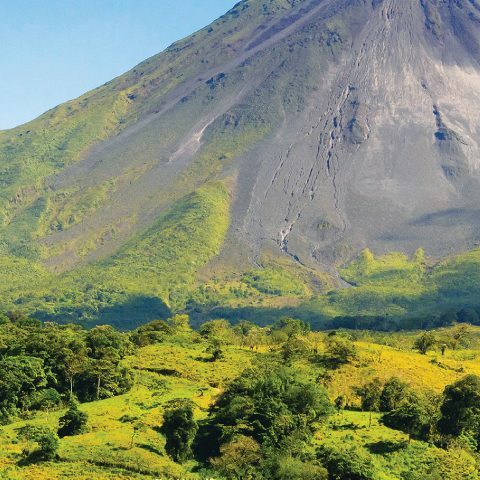 Arenal Volcano National Park & La Fortuna: La Fortuna is a town in the Northern Plains, home to the majestic Arenal Volcano and one of the most beautiful places in Costa Rica because of its natural and geological wealth and the wide range of tourist activities. 2. 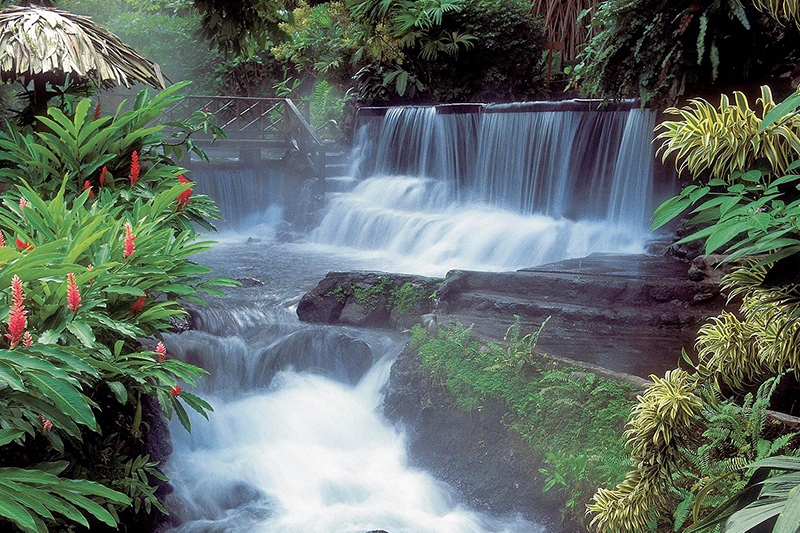 Hot Springs: The hot waters from the Arenal Volcano are rich in minerals associated with health, so it is one of the most visited sites in the country for relaxing and enjoying an extraordinary natural landscape in the rainforest. 3. Chato Hill: Located on the southeast side of the volcano is Chato Hill which is an extinct volcano with an altitude of 1,140 m.s.n.m. Currently, in the crater you can see a greenish lagoon about 550 meters across, bordered by dense vegetation. 4. 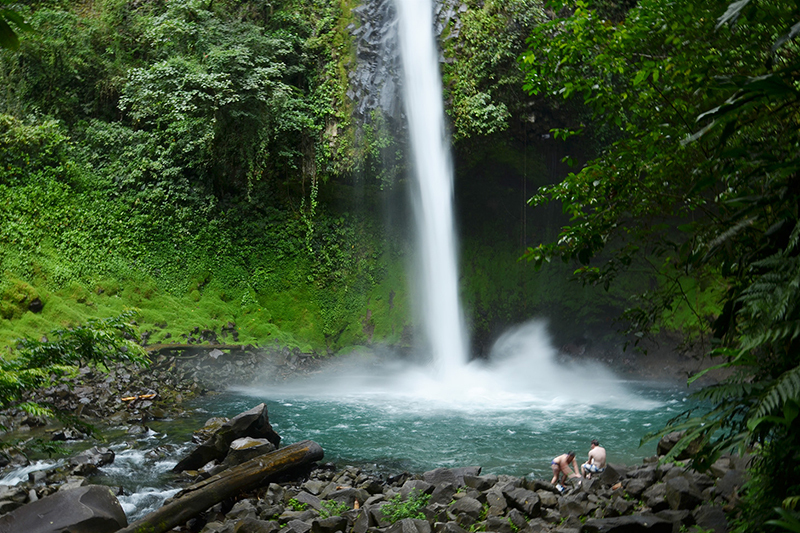 La Fortuna Waterfall: At the entrance to the main road to Chato Hill is the waterfall La Fortuna, one of the jewels of this place measuring 70 meters high and with pools for cooling off. 5. 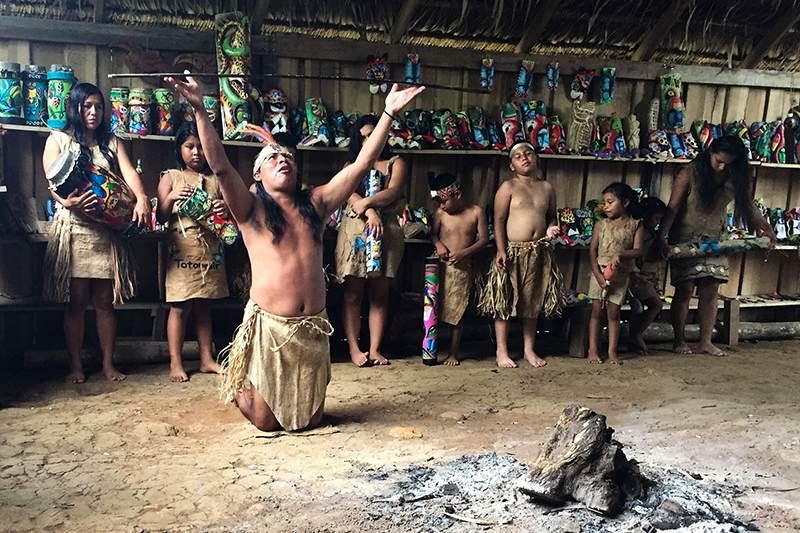 Maleku Indigenous Reserve: Near the village of Guatuso, along the Frio River is the Maleku Indigenous Reserve. Currently, the population has approximately 600 people, so you can visit some villages that preserve their culture. 6. 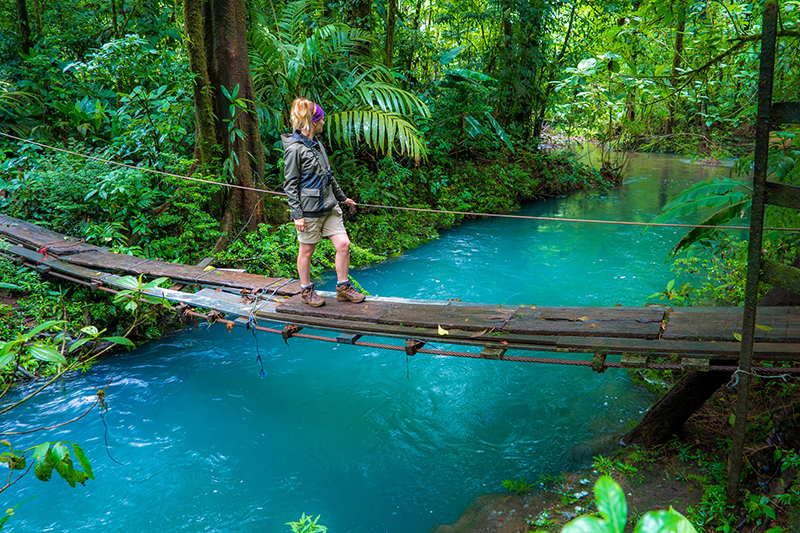 Celeste River & Tenorio National Park: The Celeste River is one of the natural wonders of Costa Rica, formed from the union of two rivers with different mineral content from Tenorio Volcano, this gives the waters of this river a very particular blue color. Tenorio National Park offers a trail of 7 kilometers surrounding the area, showing the main geological attractions, such as Teñideros, hot springs, the intense sky-blue waterfall, hot springs and fumaroles. 7. 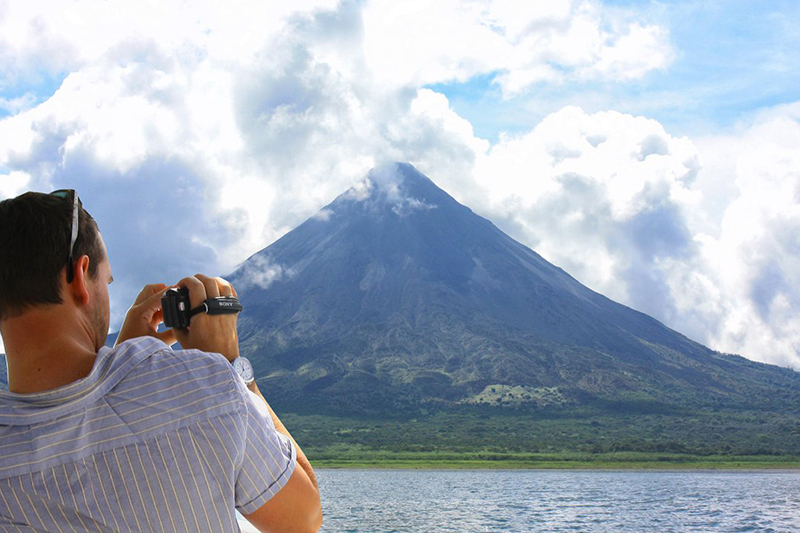 Arenal Lagoon: A few kilometers from the center of La Fortuna is the country's largest artificial lake. 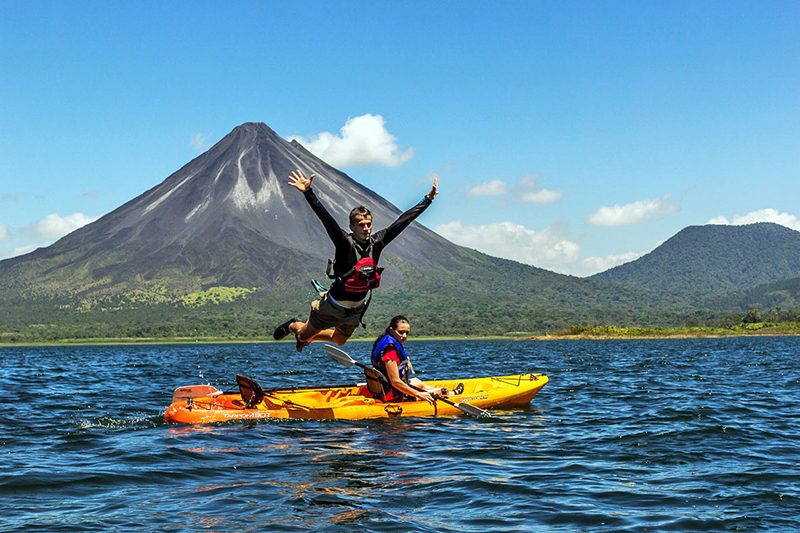 Lake Arenal is an anchored dam between forests and mountains, this lagoon is ideal for boat tours, kayaking, fishing tourism and water skiing; windsurfing and SUP, among others. 8. Wild Refuge Black Reed: This Refuge has a wetland surrounded by its extensive biodiversity, especially for species migrating from January to March. It is an ideal site for bird watching; so many visitors choose to take boat trips. 9. Bajos del Toro Amarillo Waterfalls: Toro Amarillo Waterfalls, measuring 90 meters high is formed from the union of three rivers, all of which have water with high mineral content that makes the landscape a fairy tale scene. Its landscape is unique because it has a particular blend of rivers, waterfalls, hydroelectric projects, natural reserves, and agricultural landscapes. 10. Sarapiquí Area: Puerto Viejo de Sarapiqui is a typical riverbank community, surrounded by forests and agricultural plantations, featuring rural architecture and numerous hammock bridges. 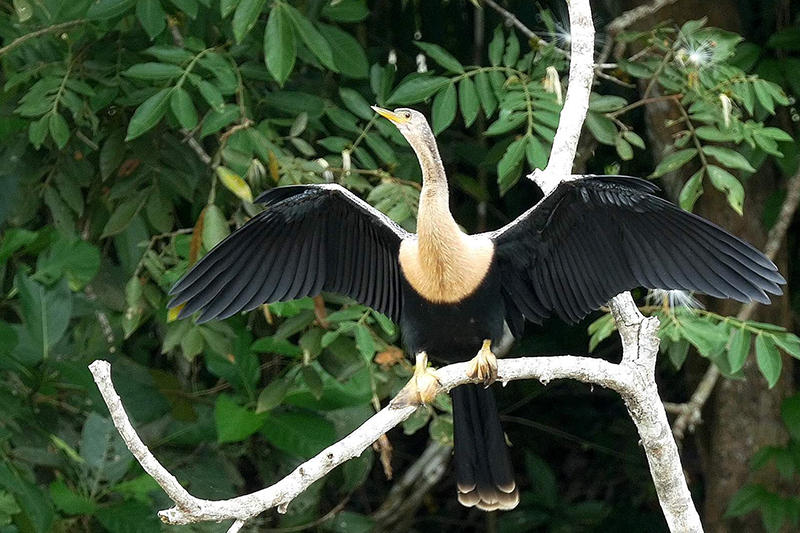 This area also allows you to enjoy whitewater rafting, birdwatching and ecotourism activities. 11. 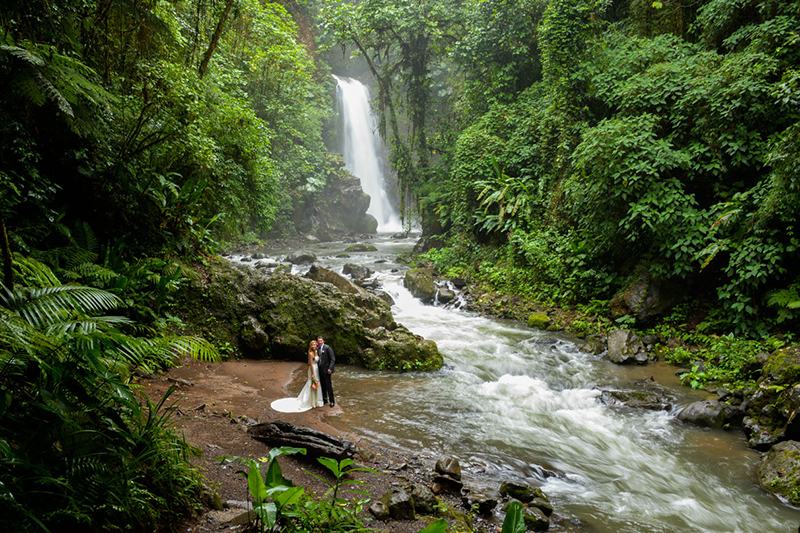 La Paz Waterfalls: Near the town of Sarapiqui you can find the Vara Blanca and Cinchona communities, which offer the traveler very beautiful rural landscapes combined with dense vegetation. 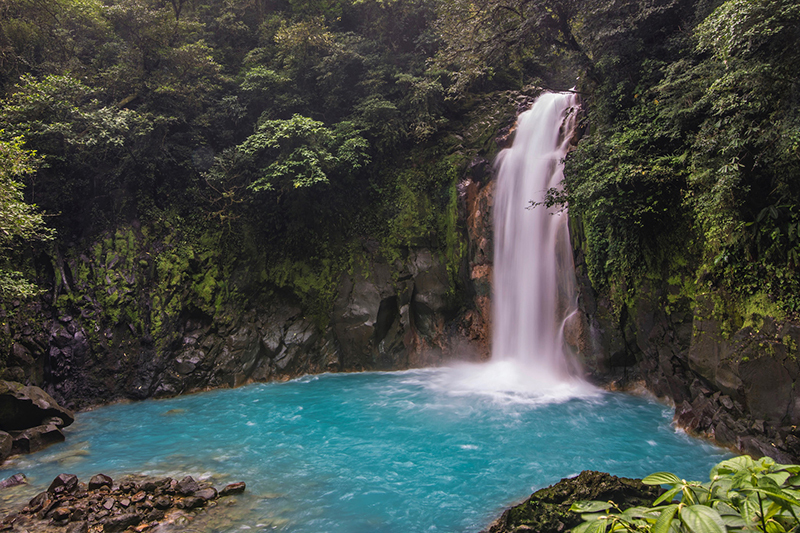 Imposed within its lush forest are a series of beautiful waterfalls culminating with the La Paz Waterfall.